This past summer, I hiked the 4 Pass Loop trail near Aspen, CO with Shannon (my wife's cousin) and two of her friends, Amy & Justin. Amy & Justin are two people that you can just tell when you meet them, just how perfect they are for one another. Like peanut butter & chocolate. Cookies & milk. Cheeseburger and fries! (inside joke). You get the idea. I thoroughly enjoyed our hike. Great views and great company. Not long after the hike, I heard that Justin had popped the question. This came as no surprise to me and I was really happy for both of them. Then Amy reached out to me and asked me if I'd shoot their wedding. Heck yeah I will! 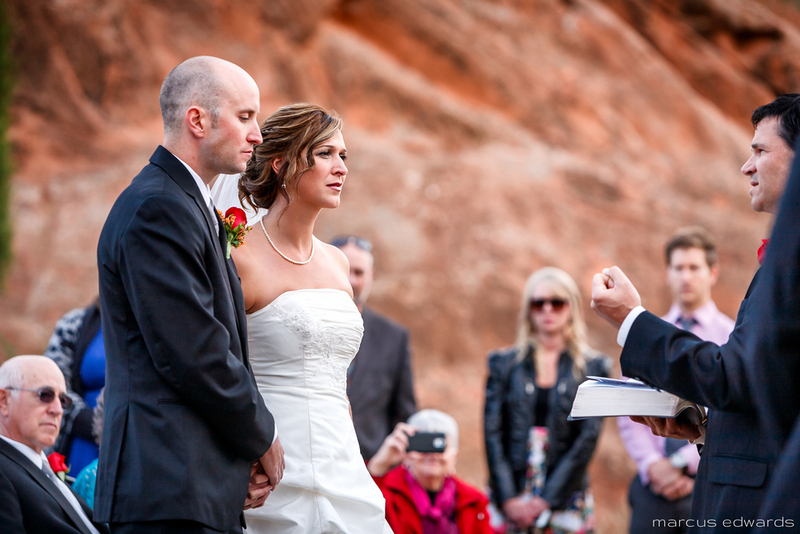 They were married at the Red Rocks Open Space near the Garden of the Gods in Colorado Springs. Gorgeous area. Their wedding was performed with their faith in God as the core and foundation of the new life they were starting together.